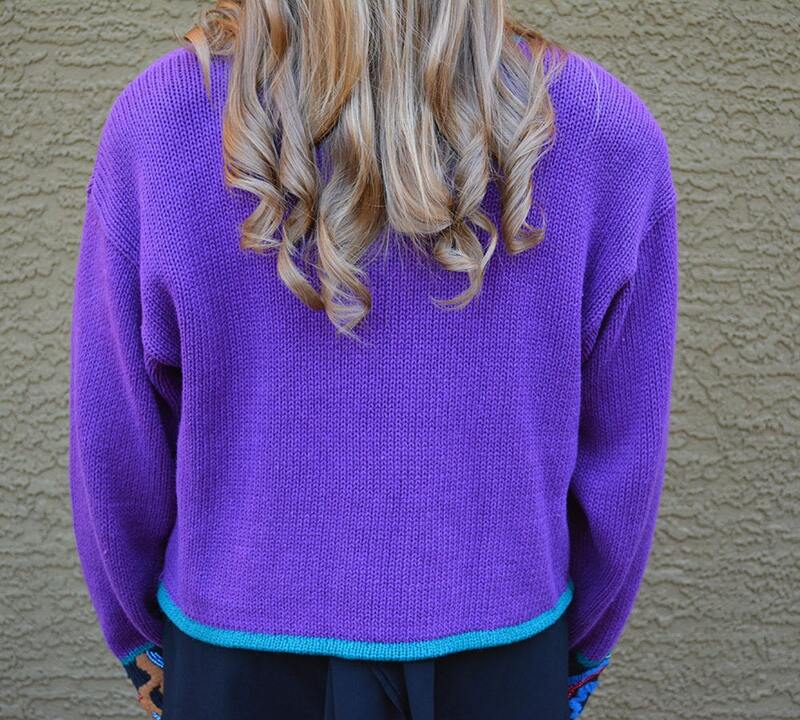 Fantastic 90s purple cardigan for sale. 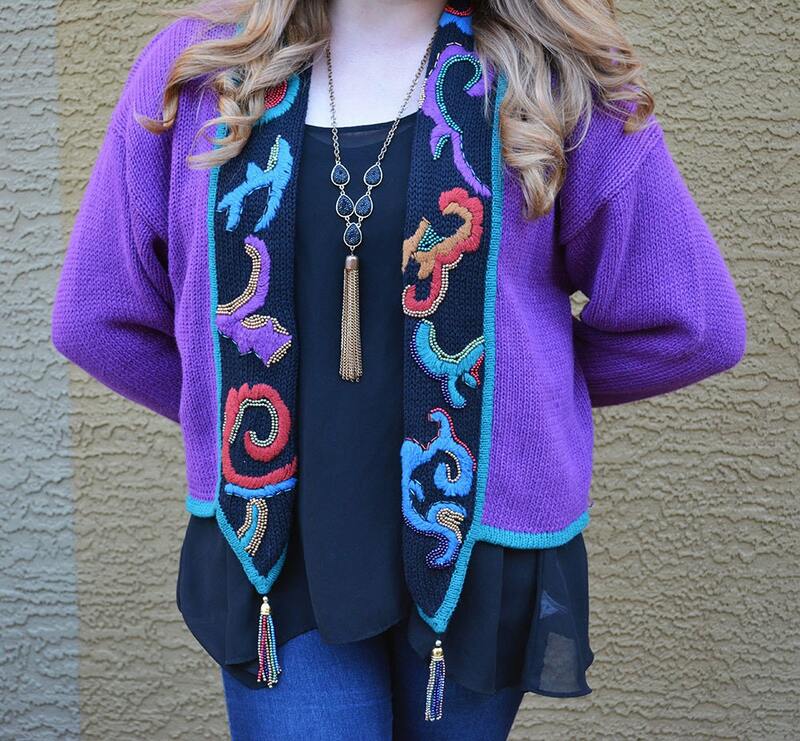 We love the boldness of this adorable sweater. 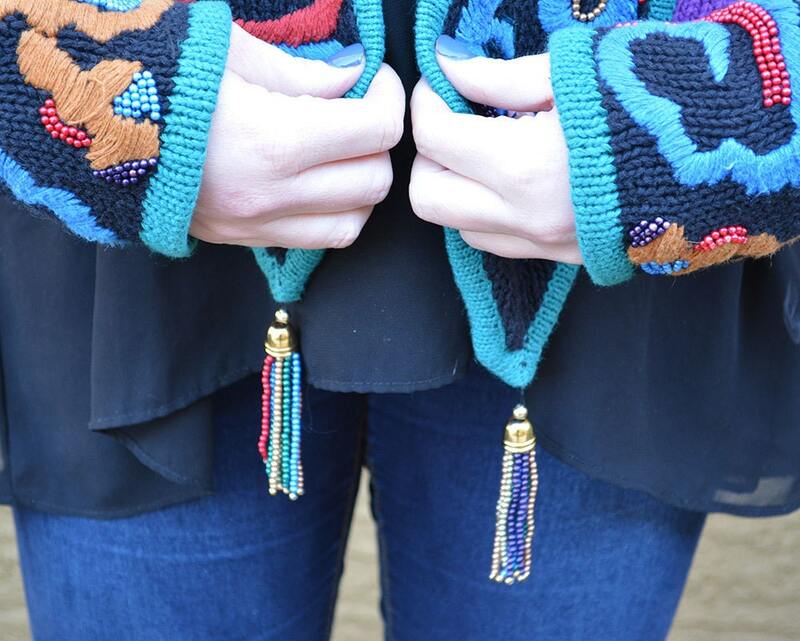 The sweater has two fun beaded tassels hanging from the front for added pizzazz. 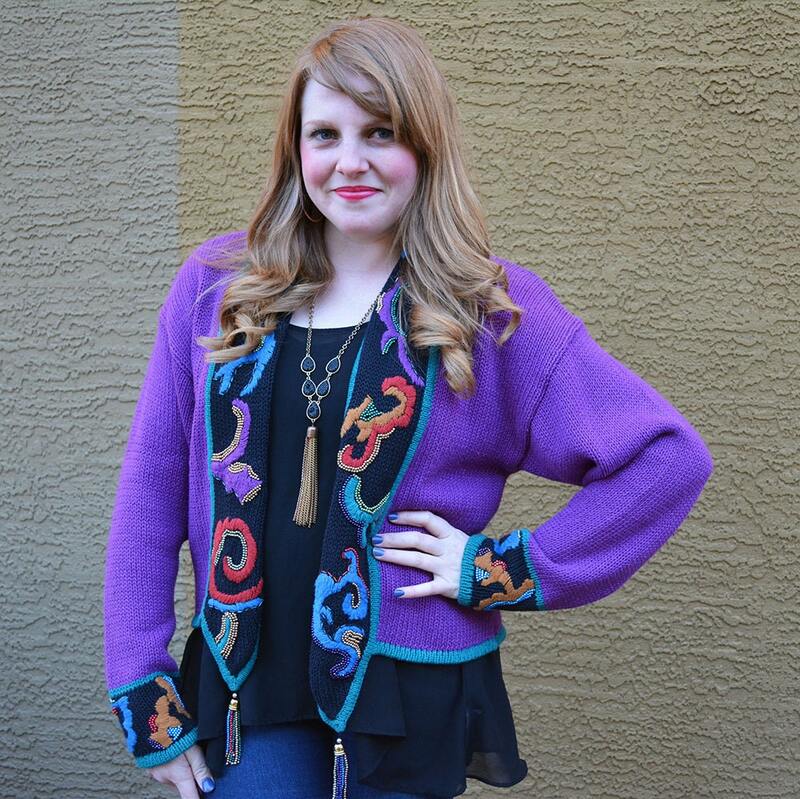 This is such a soft and warm cardigan, and it is in great vintage condition. 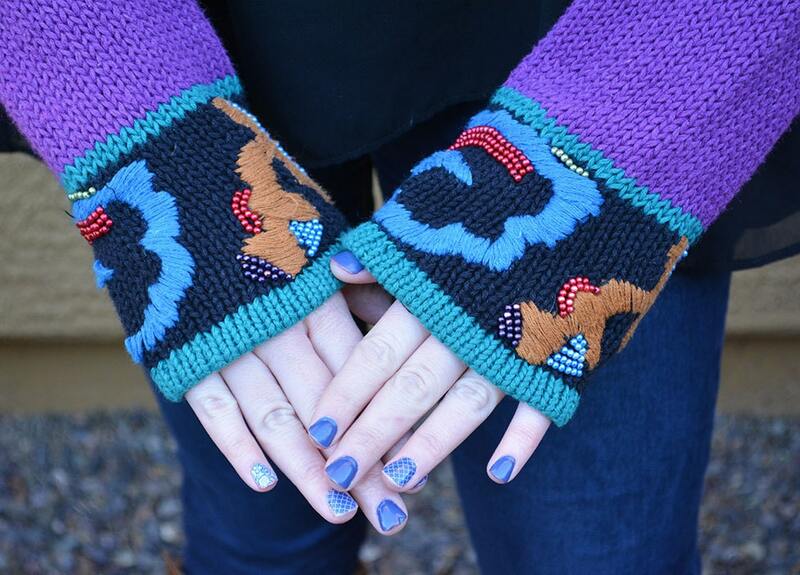 Size: 2, but this item runs large. I would say it is closer to an 8 or 10.